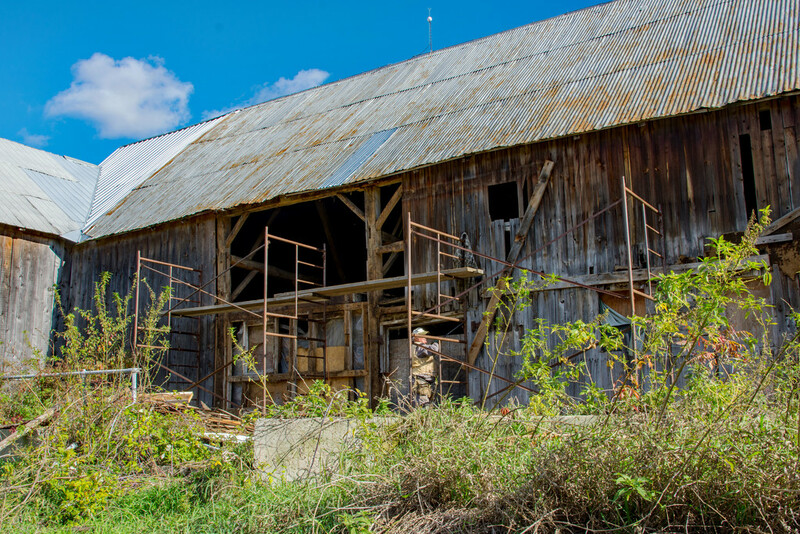 Do you remember all the photos of the work we did on the barn this summer? Well, that was the public part of the barn,; the part that people see as they drove up our lane and into the yard. This is the hidden part of the barn that is now getting repaired. The west side that never gets viewed, but was in just as bad a repair as the rest of the barn! So, while it was never seen, it was just as important to get repaired. Yes, it's an important project. I really like all the time and rust. Great job, That barn looks enormous! Looks expensive but necessary work!